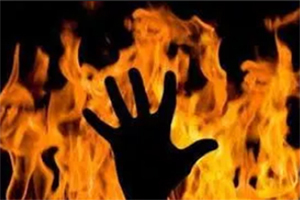 Thane, Feb 7: A five-year-old girl's mother and aunt were arrested for allegedly burning the minor with a candle for her mischievous behaviour in Thane district of Maharashtra, a police official said on Thursday. The child was playing at her home in Roadpali area of Kalamboli locality in Navi Mumbai town on Wednesday, and not listening to her mother and aunt, he said. The two women apparently got annoyed over this. They caught hold of the girl and allegedly burnt her with the candle, causing several injuries to her, the official said. When the child's father, who works as a vegetable vendor, returned home at night, he found his daughter crying and saw burn injuries on her body, he said. When he asked the child about the injuries, she pointed towards her mother and aunt, the official said. The girl's father then lodged a complaint against his wife and sister-in-law (his brother's wife) at Kalamboli police station, the official said. The two women were subsequently arrested and booked under relevant provisions of the Juvenile Justice (Care and Protection of Children) Act, he said, adding that a probe was underway into the incident.